I'm a work-at-home parent of a three-year-old boy. I depend on his afternoon naps because I use the time to work. Lately he's been taking a few naps a week, and the rest of the time he repeatedly gets out of bed and calls for me. I'm falling behind on work. Is there anything I can do to encourage him to nap every day? There are a few things you can try, which I'll detail in a minute. But in general, once a child starts down the long road to dropping his afternoon nap, the nap days are numbered. From infancy through the preschool years, children's biorhythms call for daily siestas to help them recharge and refuel. Naps help young children process and retain new information, and prevent the overtiredness that can ruin nighttime sleep. But between the ages of three and six (for many children, between three or four) the child's biological clock shifts to enable him to stay awake longer during the day and that daily nap is simply not needed. Once that shift occurs, there's nothing a parent can do to permanently bring back a daily nap. Once a child skips a nap every day for a week to ten days, you know the nap is history. However, because your son still takes a few naps a week, he's not entirely finished napping yet, and you can probably still squeeze a few more naps in before he drops them entirely. First, ensure that he wakes up at a consistent time each morning, as this will set his body's clock for the day and encourage a more consistent afternoon rest time. Consider waking him 20-30 minutes earlier to encourage extra tiredness in the afternoon. Similarly, taking him outside to run and play in the morning can help prepare him to snooze come afternoon. You may also consider moving his nightly bedtime about 20-30 minutes later at night, to see if a slightly shorter nighttime rest will encourage more daytime sleep (but please don't take this option if your son fights bedtime or wakes during the night, because keeping him up too late could introduce more problems). Keep the time of his nap consistent, and use a wind-down routine before naptime that's similar to the one you use before bed each night. Good luck! And take heart — dropping the afternoon nap can be a positive milestone. Check out this post at The Well Rested Family: No More Naps? Eight Reasons to Cheer. Malia Jacobson has been helping tired families sleep since 2007. 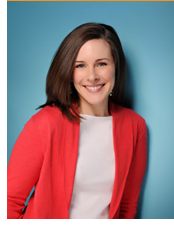 She is a writer, editor, nationally-published sleep journalist, and author of"Ready, Set, Sleep: 50 Ways to Help Your Child Sleep, So You Can Sleep Too." Her sleep articles reach millions in respected print publications. Malia's articles have been featured in over 70 news outlets and publications, including ABC News, Women's Health Magazine, Costco Connection Magazine, Seattle's Child Magazine, ParentMap Magazine, Seattle Business Magazine, San Diego Family Magazine,and Cincinnati Family Magazine. She is a contributing writer at Family Time Magazine and Broward Family Life Magazine.